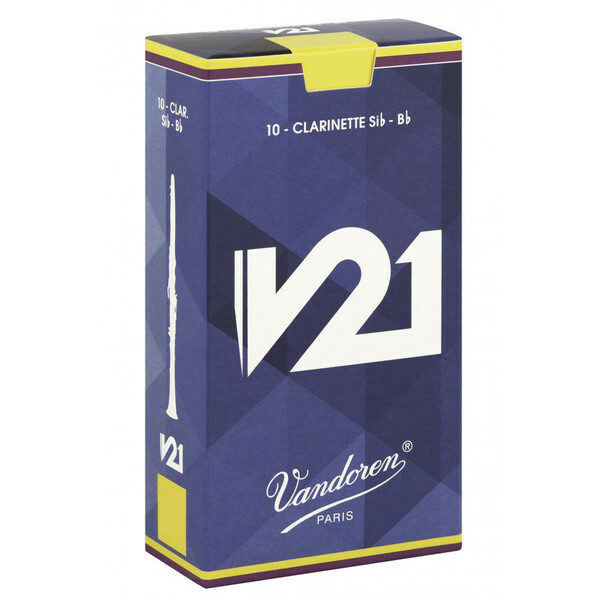 The Vandoren V21 Bb Clarinet Reed combines the conical shape of a 56 rue lepic reed with a V.12 profile. This unique combination makes all registers of the clarinet more accessible with warmth and a depth of sound. It will allow you to play with amazing presence and immediate response. The V21 is the perfect reed for performances that require the ability to handle large interval leaps efficiently with an even and rich tone. For strength suggestions compared to other Vandoren reeds, please refer to the PDF document above. Picture is for reference only.